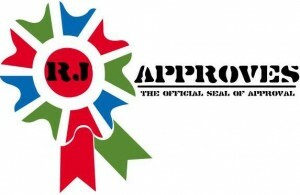 COMPLETE VSHIELD EDGE DEPLOYMENT AND CONFIGURATION AUTOMATION | RJ Approves This Message! For my day job I worked on automating the deployment and configuration of the vShield Edge appliance. To an untrained eye this can be quite complicated and has been fun to work on. I ran into a lot of documentation gaps and issues with the entire deployment and VMware SDK support has been notified about these gaps. The script is missing HA configuration and LB service enable parts. I have these done but looks like VMware issue is preventing these to run properly. VMware is investigating so sit tight! In my home lab I had deployed the edge appliance a whopping 200 times before I got the script right! This was mostly due to the gaps and issues in the API. The community script has been edited to protect my product information and I haven’t had a chance to test the formatted script but it should work just fine. Here is the script for quick reference, click Read more below for the script. #Reading the XML and copying all the info. write-host "Waiting for edge to be in deployed state"
Write-host "Creating LB Pools now.."
Write-host "Adding LB Virtual Servers now.."
Write-Host "Adding static routes now.."
Write-host "Creating grouping objects now.."
Write-host "Creating FW rules now.."